In common with other mayweeds, this chamomile has a daisy like compound flower head and leaves that are finely divided and almost feathery in appearance. This species found its way into wild flower mixtures as it was mistaken for the very similar Anthemis arvensis; however, on closer examination it can be identified by its neater, more regularly lobed leaflets and by the scales present on the back of the flower head. In Anthemis arvensis these remain pliable as the flower dies and the seeds ripen but in this species they stiffen giving the seed head a slightly prickly feel. 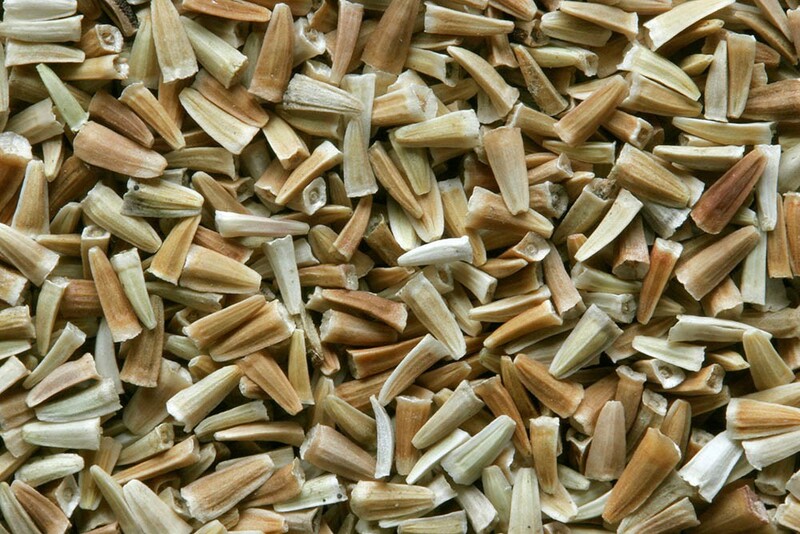 You may find this plant listed under the botanical name of Cota austriaca. Flowering occurs from early June into late September. Although a relatively recent introduction this species is a useful addition to cornfield mixtures as its open, compound flowers provide a valuable supply of pollen and nectar to a wide range of insects, particularly hoverflies. It is also unlikely to persist if sown as part of a nurse crop when creating a meadow as once the perennials have established there will be no room for the next generation of plants to grow. Having said that it is our aim to replace it with Anthemis arvensis, another introduced species but one that has been with us since the dawn of history. 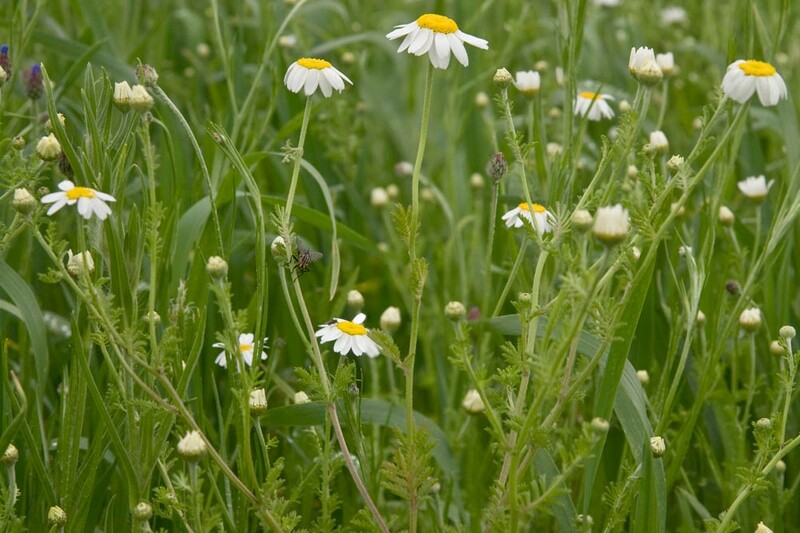 Corn chamomile grows readily from seed sown on most soil types but it has a definite preference for light chalky or sandy soils. As with all cornfield annuals the area where it is sown needs to be disturbed each autumn if the species is to persist for more than one year.